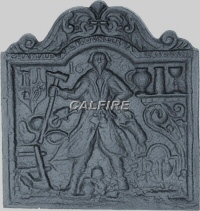 Medieval Fireback made by the Kingsworthy Foundry. Firebacks not only enhance the look of your fireplace,but also protect the bricks and reflect the heat back into the room. Can be lent against the wall.